The aim of this chapter is to analyze state religious education (SRE) in Israel as a faith-based ideological school. SRE maintains a modern, orthodox ideology that is interpreted through a pedagogical philosophy, which strives to combine religious life and education with secular studies with the aim of preparing students to participate and function within the secular modern world. The article analyzes the different educational tenets of this system, the different educational pedagogies that were constructed within the system to cater diverse needs and the main dilemmas and challenges that SRE face. In conclusion, despite the impressive achievements of the state-religious schooling system in accomplishing its seminal goals, three principal criticisms are levelled at the system. 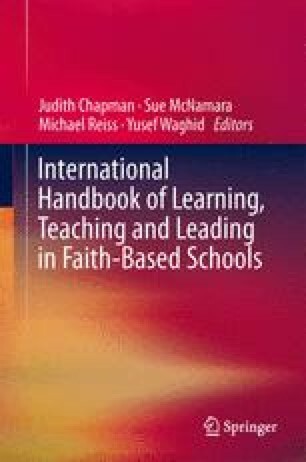 These discussed in detail in the paper, which can serve as a case study for other faith based schools worldwide.